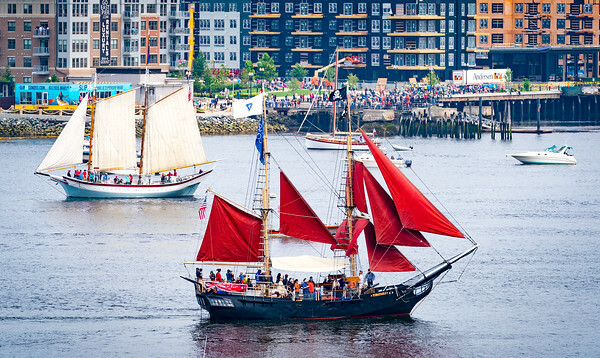 For the first time since 2000, a full Tall Ships regatta returned to Boston Harbor. 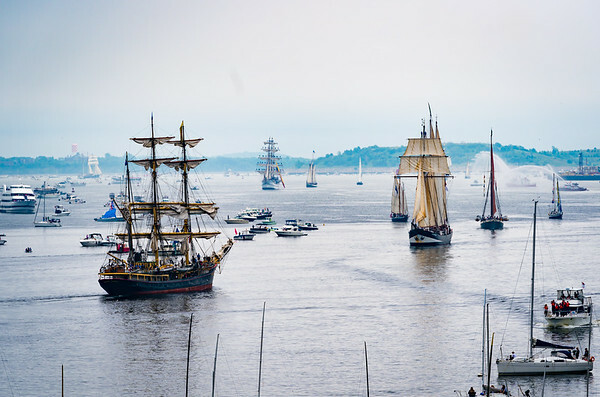 On Saturday, June 17th, over 50 majestic ships from around the world arrived with a Grand Parade of Sail. 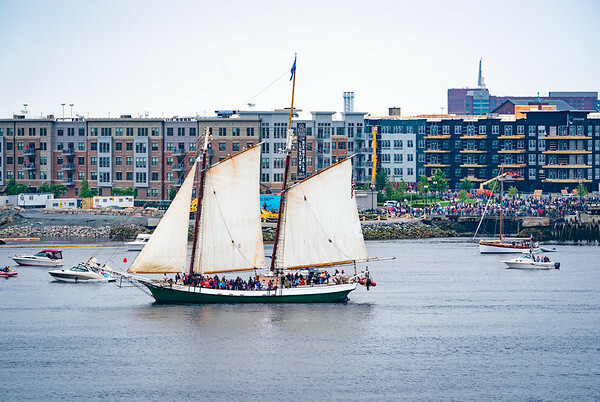 The parade kicks off five days of nautical festivities with many opportunities for public boarding. 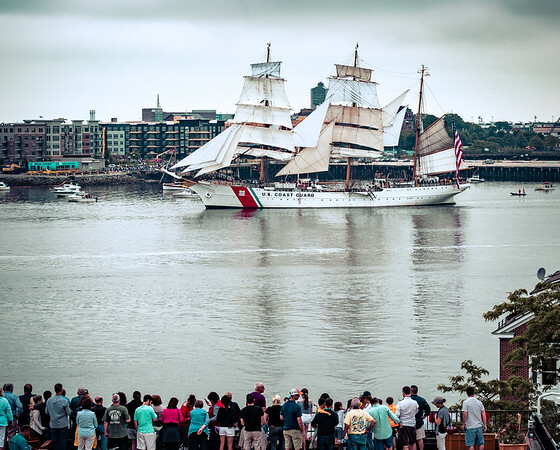 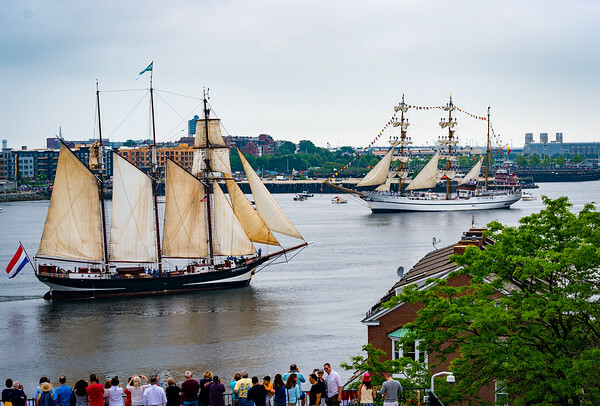 Sail Boston 2017 is part of the Rendez-Vous 2017 Tall Ships Regatta, a transatlantic race organized by Sail Training International. 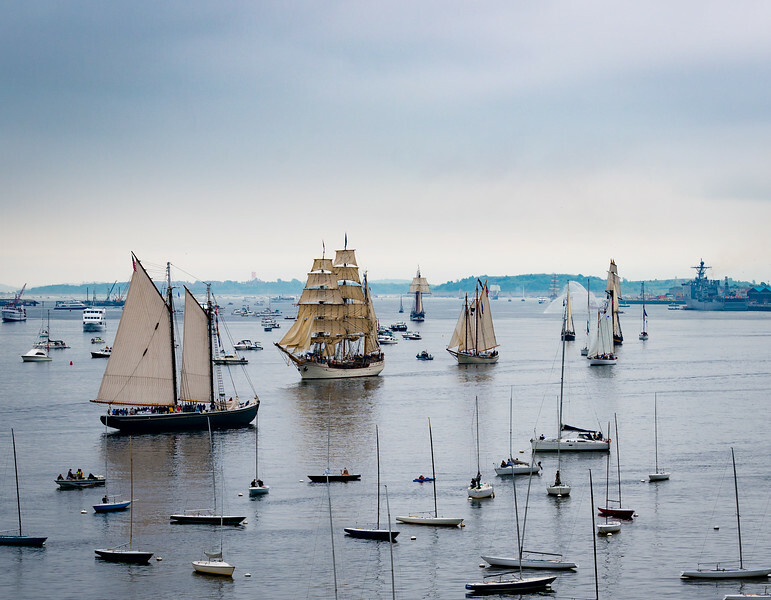 The regatta commenced in the UK on April 13, raced to Portugal, then to Bermuda, and is now to Boston. 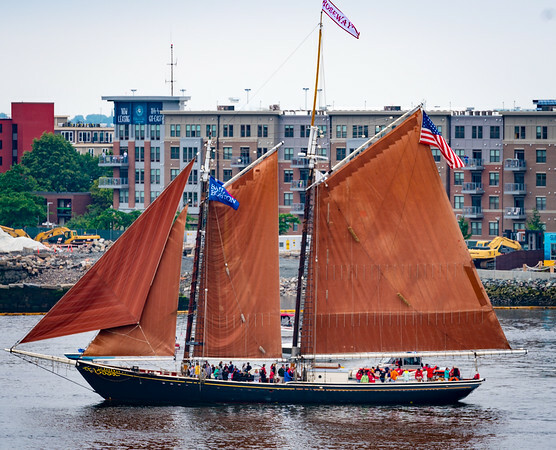 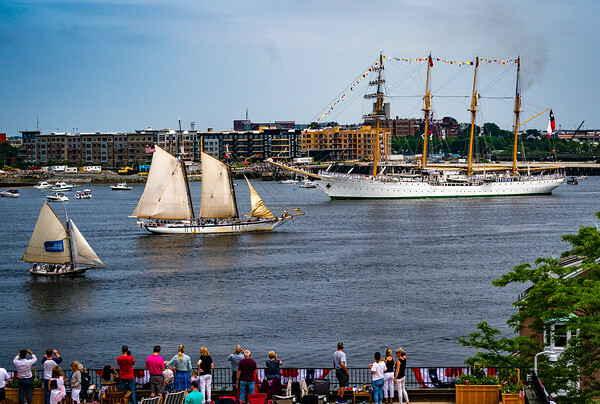 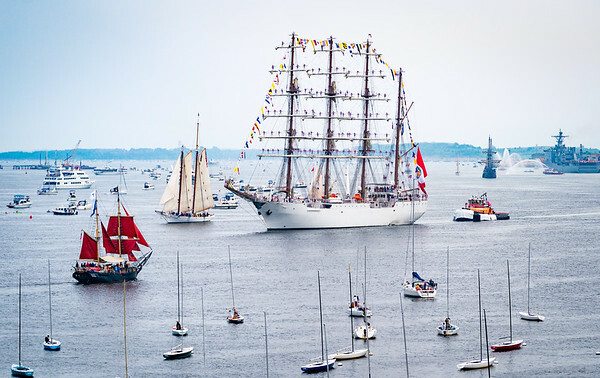 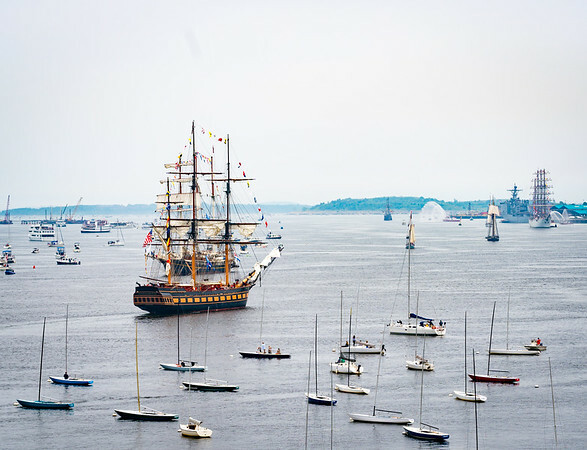 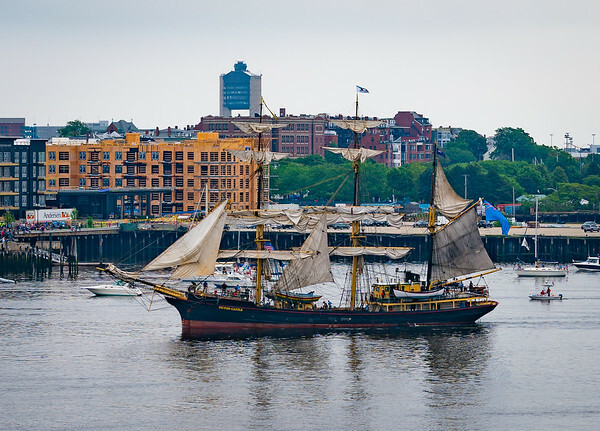 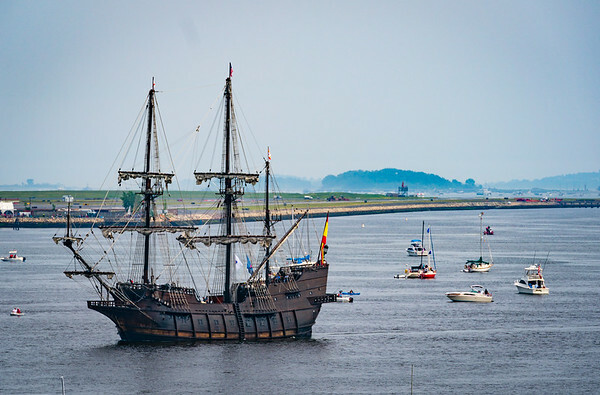 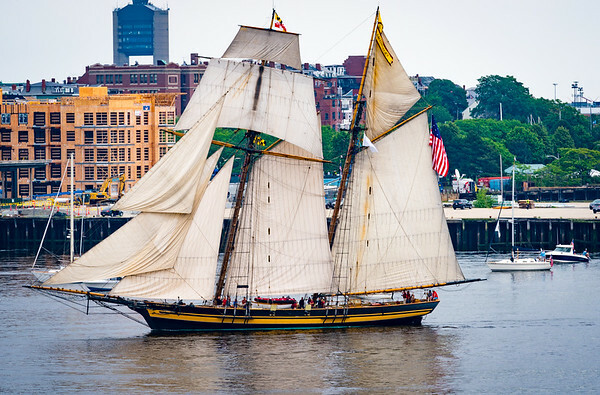 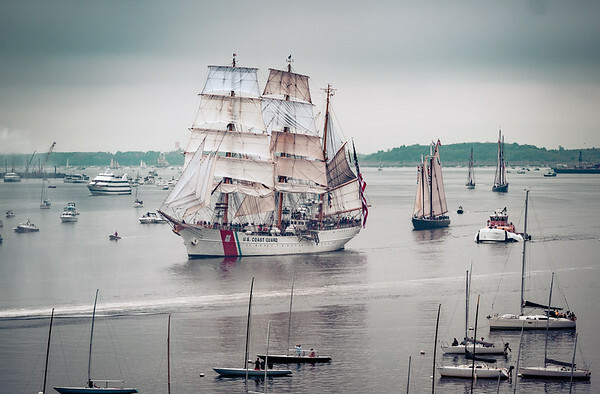 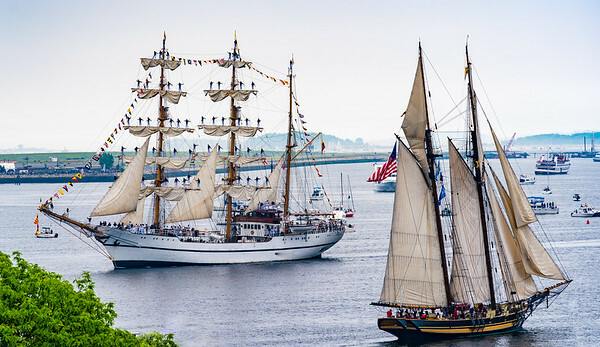 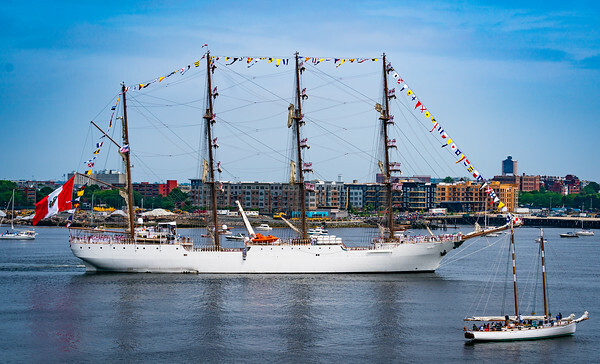 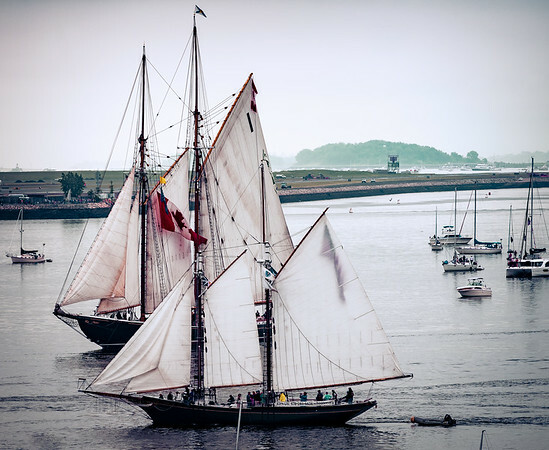 In Boston, the European, South American and North American fleets congregated before sailing en masse to Quebec for Canada’s National 150th Celebration. 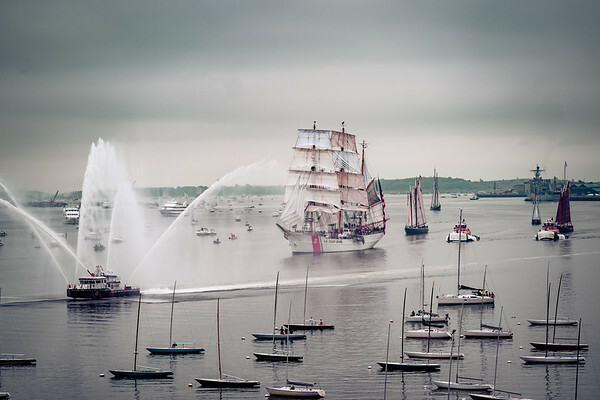 The morning arrival started out a little foggy and overcast, but gradually cleared up for the Grand Parade of Sail. 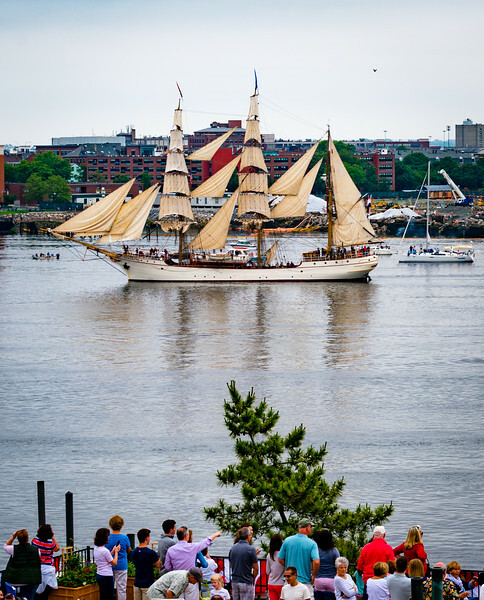 Here are photos from the North End waterfront. 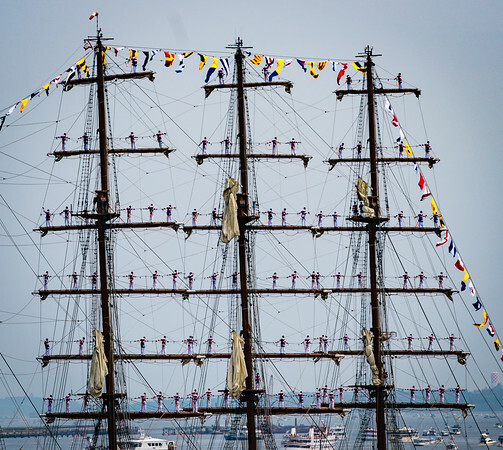 Formidable from the USA with "pirates of fun"
Peruvian ship "La Union" with sailors up high!